New Socialist Initiative (NSI) calls upon all progressive and democratic minded individuals and organisations to join us and raise our voice against the massacre of Bengali-speaking Muslims that it still unfolding in Bodoland (Assam). The death toll has already reached 32 and still counting. In what seems to be a post-poll revenge killings in all probability, on 1st May at 7.30 p.m., 8 Bodo youth armed with fire arms riding on 4 bicycles entered a house in Narasinghbari village in Baksa Dist. inhabited by Muslims and asked, whom did you vote for, and before getting any answer they fired shots and killed 3 persons and injured two. 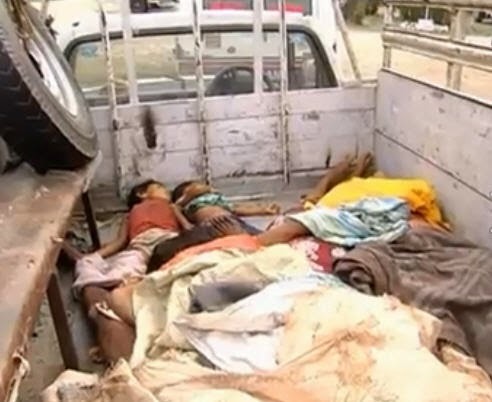 At 12.30 a.m. on 2nd May (night of 1st May) in Balapara village part I, 20 armed militants entered and fired indiscriminately on 5 houses and killed 8 people which include 3 women, two old persons and 3 children (aged: 3, 8 and 12 years), who had obviously not even voted. On the same day (2nd May), 40 militants surrounded 77 houses in Narayanguri village (the last village before Manas National Park) and fired indiscriminately. 20 dead bodies have been found so far, 8 had to be hospitalised and 31 are still not accounted for. This has led to exodus of Muslims to safer places. It is worth noting that a day before the massacre, Pramila Rani Brahma, Minister for Agriculture in Assam from Bodo People's front (BPF) who represents Kokrajhar East Constituency gave an interview to media on 30th April claiming even before the results of Lok Sabha elections are out that this time Muslims did not vote for the BPF and therefore their candidate Chandan Brahma was not likely to win. It is further worth noting that he 16th General election for Lok Sabha concluded in Assam on 24th April. From Kokrajhar constituency, the candidate of Bodo People’s Front, a party of former militants, was Chandan Brahma and was opposed by a non-Bodo candidate Naba Saraniya, a former commander of ULFA, backed by the Sanmilita Janagostiya Aikkyamancha (SJA), an amalgamation of at least 20 ethnic and linguistic groups based in Bodoland. The Bengali speaking Muslims of Bodoland apparently voted enmasse in favour of Naba Saraniya.